Morning doodle listening to @tara_mcmullin’s #whatworks podcast. Good stuff! 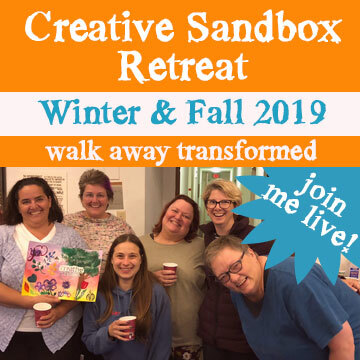 Getting a tiny bit of creative sandbox play in before my last full day of prep for tomorrow’s presentation skills workshop for Uber’s Risk Team! Morning doodle listening to the @jordanharbinger show before getting down to work, prepping for a presentation skills workshop for @uber on Thursday. More watercolor blob critter doodles. .
Doodling while listening to @todd_herman chat with @jonathanfields about alter egos on @goodlifeproject. Good stuff! I channel alter egos just about every day in my business, and this conversation really shines a light on how to do it more mindfully. When that happens to you, you have a couple of options: 1) beat yourself up (“You’re so lame! How could you? What a loser! I’m so ashamed!” Etc. Etc. Ad nauseum. Or 2) respond with self-compassion and love yourself up. The truth is, there are no creativity police. 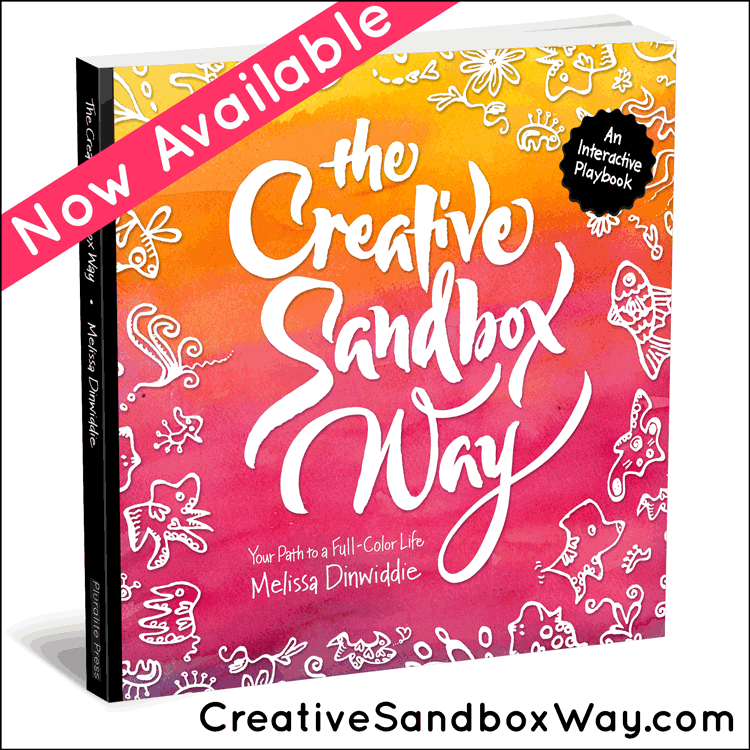 If you miss a day (or three, or fifty-seven) of your creative practice, IT’S OKAY! You get to simply start fresh! Nobody got injured or damaged. You do not need to feel guilty! You did not harm anyone! And YOU ARE NOT ALONE! Many others have experienced the same suffering before you. This is a very common human experience. YOU’RE HUMAN. And you get to love and accept yourself for your human-ness! Forgive yourself. Give yourself a hug, the same way you would hug and comfort a beloved 4-year-old. (You’d never berate a 4-year-old for not using her crayons for a few days, would you???) 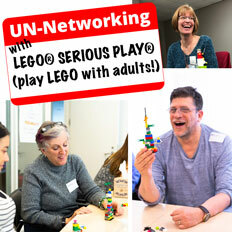 And invite yourself to play. Play happens when we feel invited, not when we feel guilted and pressured. Let’s take the pressure off, shall we? 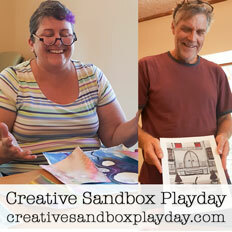 What are you doing to play in the creative sandbox today?